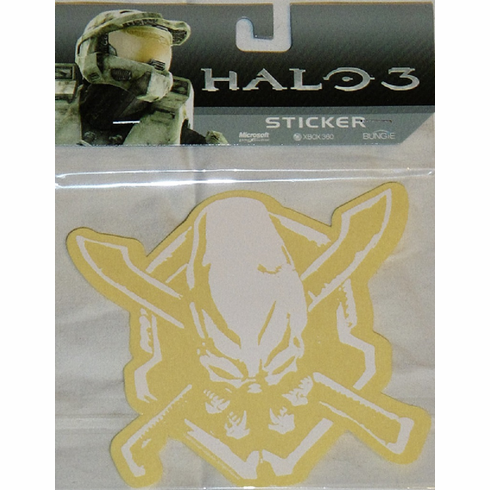 Halo Legendary Sticker has a picture of the Halo Legendary logo color white and yellow. The Halo Legendary White Sticker is yellow and white on a clear background. It features the original logo for the "legendary" level of Halo play, a skull crisscrossed by knives.